research, started by my dear high school friend. I wasn't too disappointed with the heavy rain on Saturday that had us 'stuck' in our eco cottage listening to the rain and the kookaburras, and also allowed us our afternoon 'adventure' over to the main cabin to play billiards (which took hours, we are both terrible). Comfy chairs and sofa, and surrounding by greenery. There is a garden and orchard at Bombah Point, and the kind hosts place handpicked herbs and veggies in the main cabin for guests to enjoy. There is also a chicken house - you give the chooks your food scraps, they'll give you fresh eggs, not a bad bargain. 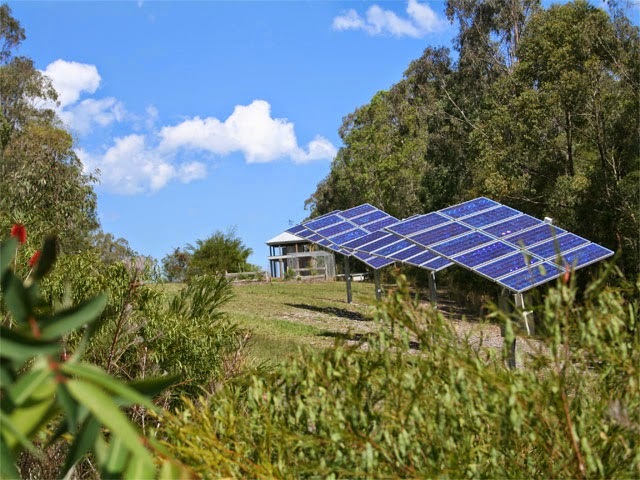 When you drive into the resort the first thing you notice are the solar panels - 48 of them set up on four sun trackers - which accounts for 50% of the energy used by Bombah Point. There are also two giant rainwater tanks for each cabin - I took a decadent bath without feeling too guilty about the amount of water I used - and the cottages also use bore water for toilets and laundry. In our kitchen there was a bin for compost, for non-food waste, and for recyclables. And the cottages use a tertiary treatment of sewage, which incorporates worm composting and reed bed filtration - you can read more about the eco-features of the resort on their website. Bombah Point has also been recognised as a Wildlife Refuge thanks to the hard work of the owners, Jill and Peter, and their family and other staff members. Hubby and I walking through the beautiful Bombah Point grounds. You can bushwalk on site if you just can't be bothered driving anywhere. We had an absolutely amazing time, have fallen even more in love with this beautiful country, and look forward to the next time we can visit Bombah Point. Definitely check it out if you're looking for an amazing holiday away from the bustle but still filled with life's little luxuries. It was just chilly enough one night to have a fire - delight! There are large cottages, they sleep at least 3 upstairs (we didn't use the loft). new faves of mine for sure! Below is the video from the Bombah Point website. But fair warning, after watching this video it is really hard not to make a booking. 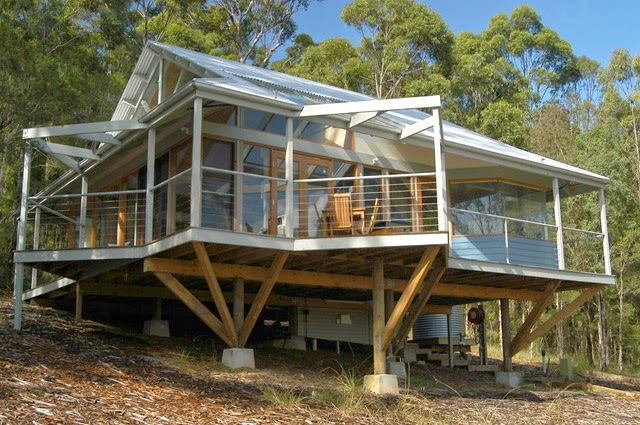 The Myall Lakes National Park - Bombah Point Eco Cottages.